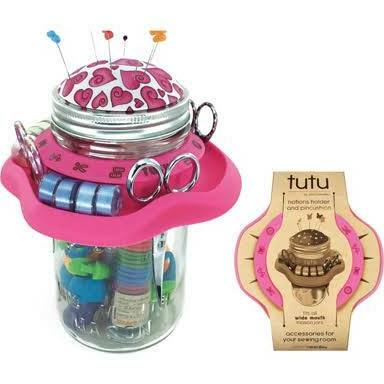 The Tutu Mason Jar Caddy transforms a “Wide mouth Mason Jar” into a beautiful Sewing Caddy. Tutu resembles a ballerina skirt that carries various items in your quilting stash from bobbins to embroidery scissors! Sale Price $7.49 reg $17.99. 50% off!